The fastest, least intrusive accessory to support your sinks. No drilling, no cracking and less prone to show through more transparent materials, compared to other tools. Each bolt is design tested to hold 300 pounds! Pair with our Component Bonder for world class results. Our original sink clip is our most cost-effective option available. Its proven design is evidenced by its remarkable sales history. 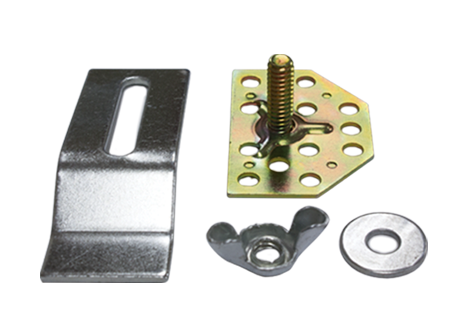 Rather than the traditional welded bolt, our bolt is inserted through the rear of the plate and then welded, allowing for unprecedented, consistent strength in every bolt.